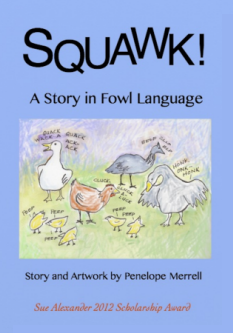 by Penelope Merrell – Squawk! is a children’s book by artist and writer Penelope Merrell. An adventuresome chick falls into a hole and the barnyard fowl come to the rescue – a story told in images with no human language. Order Squawk! from your favorite bookstore or Amazon.com.